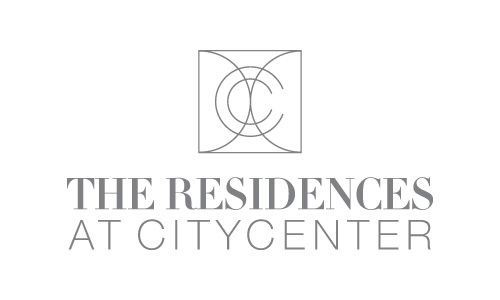 Located just outside the lobby of The Residences at CityCenter, internationally recognized chefs and fine dining establishments create a world-class culinary destination. 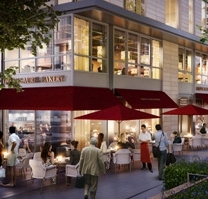 Whether enjoying a leisurely tasting menu, a working lunch, or innovative cocktails after hours, CityCenter and Downtown DC provide an array of sophisticated dining options. The Smithsonian’s National Portrait Gallery tells the history of America through individuals who have shaped its culture. 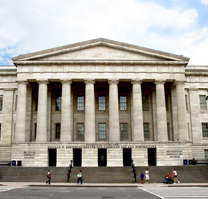 Through the visual arts, performing arts and new media, the Portrait Gallery portrays poets and presidents, visionaries and villains, actors and activists whose lives tell the American story. The Gallery currently features an exhibit focusing on Ezra Pound, Robert Frost, Marianne Moore, Langston Hughes, and Allen Ginsberg. 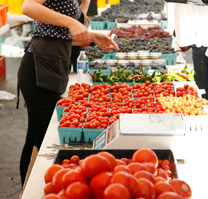 Thursdays from March through December, regional farmers, vendors, and chefs descend on 8th Street. Pick up some local produce, artisanal meats, cheeses, and baked goods, and find a recipe to wow your friends at your next dinner party. Or check out a chef's demo and bring home some new skills! One of DC's largest parks, the National Mall has become home to a vast array of sports and recreation options. 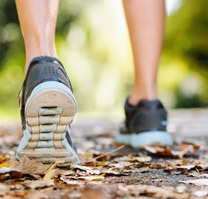 Whether going on a quick jog or working towards a marathon, runners can be seen at the Mall daily, passing national monuments, the White House, the Capitol, and the river along their way. Further, there are places to play tennis, Frisbee, and cricket, along with every sport in between.